When your oral health care involves oral surgery, the thought of sitting in a dentist’s chair and having major work done can be daunting. There is a way to conquer the nerves. Sedation dentistry not only makes it possible for oral surgeries to be completed efficiently, the sedation is intended to ease a patient’s mind, allowing you to “sleep” through your dental repairs and wake up with a brand new smile. Sedation dentistry is a deep state of relaxation. You will wonder why you ever had any anxiety about the dentist when under anesthesia. It is understandable to be leery of anesthesia in any form, but knowing that you are heading into an oral surgery without having to be fully awake for it can be a relief for many patients. Deep and moderate sedation is available for patients of all ages. Oral sedation, IV sedation, and laughing gas are common types of sedation dentistry. You and your oral surgeon will discuss the options together to determine what is best for your individual situation, needs, and overall health. Some sedation will put the patient into a conscious but euphoric state that allows for relaxation and comfort. You will still be able to hear your oral surgeon and respond to any comments he may have, but you will be calm. Other types of oral sedation create a drowsy condition – some patients will fall asleep, others will be awake but groggy. What Procedures Call for Sedation Dentistry? Nearly any dental procedure, from dental cleanings to getting a cavity filled, can warrant the use of sedation dentistry, especially for the incredibly anxious patient. In general, sedation dentistry is used to make oral surgeries more tolerable in all ways. Because some oral health procedures require more than one dental appointment, sedation dentistry can make the process far more tolerable. Dental implants: Perhaps you have missing or loose teeth due to an accident or periodontal disease. You may have ill-fitting dentures and are ready to trade them in. In some situations, patients are receiving All-On-4 dental implants for their entire jaw. Whatever the reason for getting dental implants, these surgeries can be accelerated for you and simplified for your oral surgeon with the use of sedation dentistry. 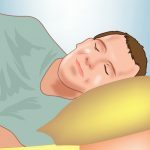 Sleep apnea treatment: Obstructive sleep apnea is a serious condition that blocks airways, contributes to lack of oxygen to the brain and prevents the sufferer from getting a good night’s sleep. Soft tissue can be reduced by being surgically removed from the back of the throat and soft palate to help prevent sleep apnea from occurring. Bone grafting: If you are not prepared to get dental implants and are still living with dentures, it may be necessary to undergo bone grafting to help improve the fit of the dentures. This procedure is done under sedation. Wisdom teeth extraction: Depending on the position of your wisdom teeth, this procedure can be more than just pulling teeth out of the gums. Third molars may be impacted, under the gum line, or partially showing. Sedation dentistry makes the removal of wisdom teeth an easy-to-navigate rite of passage. Corrective jaw surgery: A misaligned jaw may require the repositioning of the bones of the upper and lower jaw, whether to increase the size of the airway to relieve sleep apnea sufferers, or to get a mouth ready for orthodontic treatment. Without question, this orthographic surgery requires sedation. Emergency dentistry: In situations where a patient is so distraught after an accident, fall, or injury, sedation dentistry is able to relax them while repairs are being made to their teeth or mouth to reduce interruptions or delays in treatment. 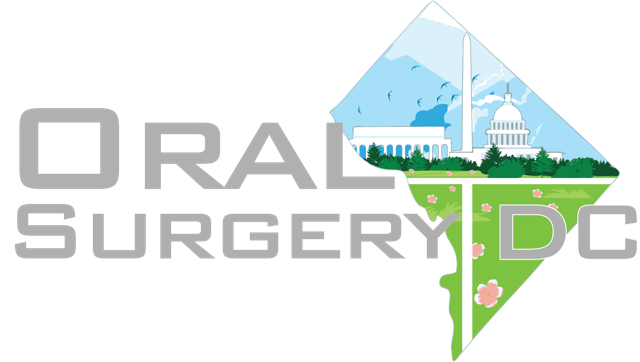 Before you undergo any type of oral surgery or sedation dentistry, your surgeon will review your full medical history. It is important to confirm that you have good overall health so that your dentist knows your body is able to handle any type of sedation. This is also the best time to discuss any anxiety or fears you do have about the procedure you’ll be undergoing. When you are aware of the exact steps that will be used to administer the sedation and complete your oral surgery – from the tools used to the sounds the tools will make – that can ease your mind. However, there are also plenty of patients who would rather not know anything that is happening, in which case sedation dentistry is really a wonderful option to “remove” you from the situation for a little while. When you are scheduled to undergo multiple restorative dentistry treatments at one time, including oral surgery, sedation dentistry is a given. This choice allows your dentist to work as efficiently as possible and prevents patients from focusing on time spent in the dentist’s chair.